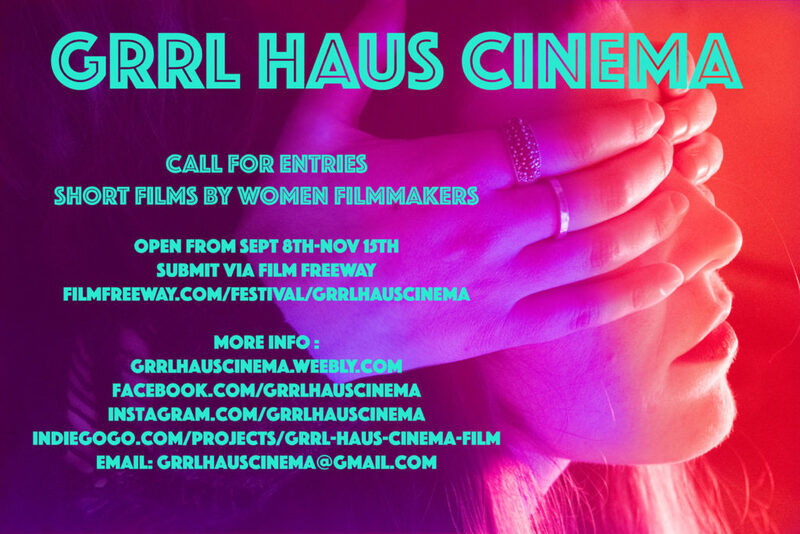 In the years since its inception, Grrl Haus has expanded, both globally (with screenings in Berlin as well as its traditional home at the Brattle) and in scope, with films ranging from narrative and documentaries to music videos and installation art. “What I love is that there really isn’t any connecting theme to any of the films, other than that they are made by women and under 20 minutes,” Cazabon muses, “It shows the diversity that we all have and how films made by women don’t mean that we all are alike and fit in the same box.” Filmmakers from around the world are welcome to submit, though the festival always reserves at least one segment for Boston-produced offerings. Films can be submitted digitally via Film Freeway and Withoutabox. While Cazabon acknowledges the struggles female filmmakers face in an environment stacked against them (“Many of us have this internalized self doubt… When you’re overlooked and ignored so much you start to believe that it’s true”), Grrl Haus represents a step towards leveling the playing field by creating new avenues of exhibition and self-expression. “I was done complaining, and realized I needed to start making an active change– Use the privileges that I have to try to change these environments,” Cazabon reflects. In her travels, she has happily found receptive audiences the world over– in addition to the Brattle show, Grrl Haus currently has screenings lined up in the Netherlands and Bulgaria– but she continues to view Cambridge as the festival’s home. “I didn’t want to move and completely forget my hometown,” she remarks, “And the truth is Boston really needs more support for people in the arts.” It’s a view likely held by most people reading this site, but as long as more people follow Cazabon’s lead, we’ll be heading in the right direction. Grrl Haus Cinema will return to the Brattle on December 18, 2017. You can contribute to their IndieGoGo fundraiser here, and learn how to submit your own films here (deadline for submissions is November 15)!